mm. Most of these machines make use of an entirely solventless technology to minimize environmental impact. 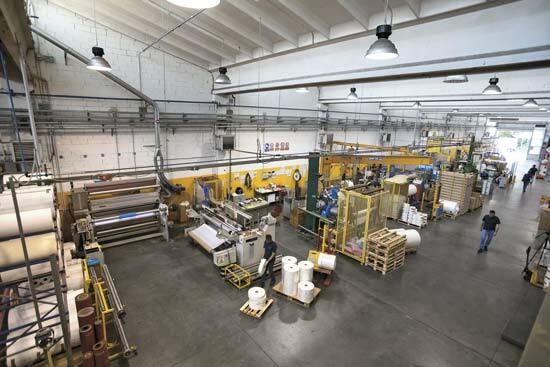 We have a total capacity for the production of laminates and resin-casted materials of 100,000 square meters per day. On the Filmcutter production floor, we also have six cutting and spooling machines for converting materials, alongside machinery used to produce adhesives such as tapes and stickers and for milling, die cutting, thermoforming, ultrasonic welding and indenting. Research and development for new materials and new technologies is one of the primary objectives of our investments in the Filmcutter Group. 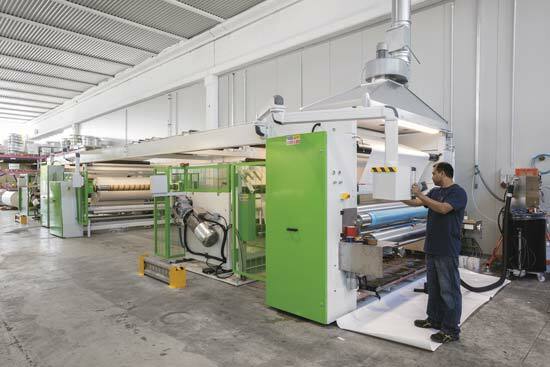 All of the sophisticated machinery on our lamination and resin-casting floor has been designed and constructed under the close supervision of the company’s management in order to ensure the right customizations were made to achieve finished products of unmistakably better quality than current market standards. This is why a number of our lamination machines operate entirely free of solvents and can bond and resin cast widths of up to 2,300 mm. The capabilities developed in our 20 years of experience have resulted in the realization of a number of proprietary solutions (such as our bi-stage epoxy resin used in the production of PREPREG) and the production of complex materials such as POLISTRAT, a multilayer flexible laminate obtained by uniting multiple, thick layers of polyester film. At Filmcutter, our tools and knowledge are a fundamental part of the creation of new products based on customer specifications and doing so to standards of excellence that are able to challenge our leading European competitors.